We know that acupuncture is a therapeutic modality that uses needles, moxas and other instruments and acts through the release of chemicals in the body. As a consequence, it produces analgesic and/or anti-inflammatory effects, thus relieving pain and other symptoms resulting from certain diseases. Acupuncture has been an effective therapeutic resource in the treatment of pain, but it can do more than that. It is possible to treat and cure various diseases of the musculoskeletal systems, digestive, neurological and respiratory, as well as to aid the treatment of obesity, depression and stress and some dermatologic disorders. This method was introduced in Europe in the 16th and 17th centuries by Jesuit missionaries, after returning from China. 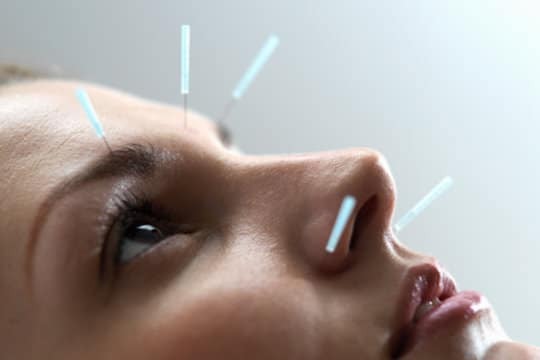 The word acupuncture derives from the Latin acum, which means needle, and punctum, which means puncture. In Japanese, acupuncture is called Shin-Kyu and in Chinese of Zhen-Jiu. In both languages, these two terms mean literally and needle and moxa, and not only needle as in Latin translation. However, the term acupuncture was consecrated for use. Currently, and as a result of the world achieved by diffusion treatment techniques of Traditional Chinese Medicine (TCM), the term acupuncture has become more comprehensive. It is described as the set of procedures and techniques that induce the stimulation of specific points on the skin, with the purpose of therapeutic release neurotransmitter, among other substances, with analgesic, anti-inflammatory, muscle relaxant, antidepressant activity, etc. Explaining in a simpler way, there are acupuncture points in the body, that can be punctured with needles or heated with the heat produced by burning the herb Artemisia vulgaris or sinensis, better known as moxa. Can also be stimulated by suction cups, manual pressure, electrical stimuli and, more recently, laser. Acupuncture and moxibustion are part of the TCM, which also includes a very sophisticated herb. Nowadays, Acupuncture needles are stainless steel and flexible, with oval, elongated, not sharp and very thin diameter, characteristics that differ from commonly used needles for injectable medications. The diameter varies from 0.20 mm to 0.30 mm and the length of 15 mm to 70 mm. Good quality needles have the cable covered and wrapped with a silver plated copper wire. This property aims to facilitate the management of the needle by the doctor and allows better use of stimulation when applying electro stimulation. The needles of 0.20 mm x 30 mm or 0.25 mm x 40 mm are the most used, and can be inserted into any acupuncture point. The use of shorter needles and minor diameter is indicated in points of the face in the aesthetic and treatment of other diseases. Of 0.30 mm x 70 mm are used for application in the human body, in which the fatty mass and muscles are thicker. In practice, it is rarely necessary to needle insertion to its full length. The specific features of the needles allow applications virtually painless and seldom cause bleeding. To prevent infections, the industrial sterilization of needles for single use (disposable) is performed with ethylene oxide. The practice of reusing needles, under any pretext, is not recommended due to the high risk of contamination by microorganisms such as bacteria, hepatitis, and Aids, among others. The moxa or mogusa – Japanese term – is a velvety material, made from the dried leaves of the plant called Artemisia, used in the form of moxibustion. This procedure consists in burning of cones or sticks of this or other herbs, which are placed over acupuncture points, with the goal of introducing heat into the body of the patient, directly or indirectly, when the cone is attached to a needle. The suction cups are smooth edge bottles with a narrow opening and rounded and consist in the use of fire or suction to create a negative pressure between the body and the skin, and can cause a small bruise on the area where it is applied, which disappears in a few days. There’s no secret or mystery in acupuncture. The first principle of treatment has more than 4000 years: “where it hurts is the point”, that is, is that if you stick a needle or if you can get a massage. Who has not done that, when he had a headache or muscle pain? For this reason, we can say that the “acupuncture effect” is practiced by any of us, at anytime and anywhere in the world. It’s like an act driven by an instinct unconscious. However, only the Chinese perfected these acts and were registering throughout history, the principle in an archaic language, based on primitive medicine, which still takes the mystical misleading interpretations of this practice. After this brief description of acupuncture will quote a few examples to facilitate understanding of how this technique works in the human body. What is the first reaction of a person bitten by a gnat? Certainly will literally tickle the site of the sting with your nails! If someone has a headache, trying to ease the pain by pressing, the place where it hurts or doing a massage at this point. The pressure at that location will have the same effect of acupuncture, therefore, a simple way of applying this technique. There are other known examples for all of us. To apply an injection, due to pain, often the pain relief is immediate. Why that happens, if the medicine will take 10 to 15 minutes to start the effect? I’m sure this was for “acupuncture effect”, in other words, acute injection entry caused this effect. Until about 20 years ago if a patient to the emergency room due to pain from renal colic, probably the doctor at first would inject distilled water at the site of pain. Why distilled water? This technique is not similar to infiltration or needling technique made by the rheumatologist, Physiatrist or orthopedist? In fact, it is a way of producing the analgesic effect by painful stimulus caused by water in the nerve endings, such as electrical stimulation through electrodes implantation, near the nerve root in the spinal cord, in procedures of Neurosurgery for painkillers. All of that, we call it being the “acupuncture effect”. Many students and patients curiously ask what acupuncture points produce calming effect and improve depression. In response, I usually cite examples. Children manifest their emotional grievances with facial expressions – generally, a wrinkled forehead. This demonstrates emotions like anxiety, worry or sadness. This facial change is a simple demonstration of how the mind interferes with the body. And the “wrinkled forehead” can undo itself before mother’s affection. That maternal gesture to massage the child’s forehead with the Palm of the hand is enough to make you calm and quiet, almost asleep. Likewise, when a light massage on the forehead of an agitated puppy, be possible to calm down this animal. That point on the forehead, between the eyebrows, is known as Yin Tang. When the doctor applies a needle in that location to treat anxiety, stress, depression or insomnia, is because the needle stimulation will trigger reactions that induce calm, drowsiness and, in some cases, a feeling that if it’s floating. It’s frequent in patients undergoing treatment of acupuncture realize beneficial changes in their body, without which these have been the reason for your query. These “phenomena” are derived from the action of needles since some acupuncture points are not specific for a particular disease. Thus, while the doctor is treating the disease for which this patient sought, other diseases or symptoms are also “taking advantage” of the needling. It is essential the concepts of TCM with Western medicine, as soon as the desired outcomes for these patients.